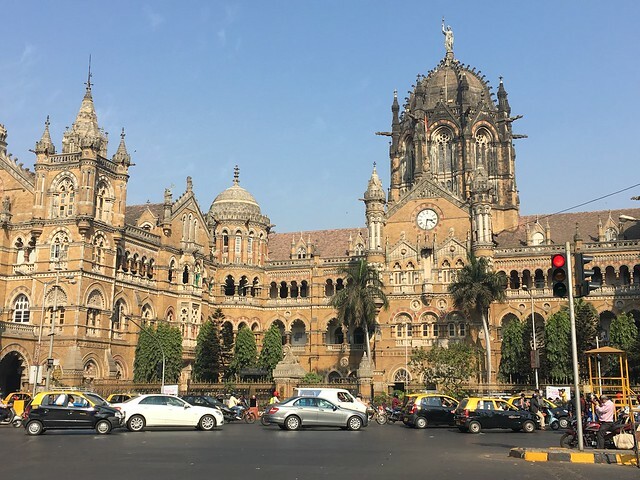 Our overnight train from Kota rolled in to Mumbai Central at 7.30am on Monday morning – sleep had been minimal on our 13hr trip with passengers getting on and off regularly. Mike made friends with a local postgrad psychology student and her father, and spent the night chatting about Indian culture and geography, while Jamie was on the far side of the next carriage with most of the group. Our visit to Mumbai was very much a flying visit, so after checking in and a quick shower and change (and one of our group having to de cockroach his room)- everyone headed out on a seven hour taxi ride around the city, stopping at some weird and some wonderful sights. 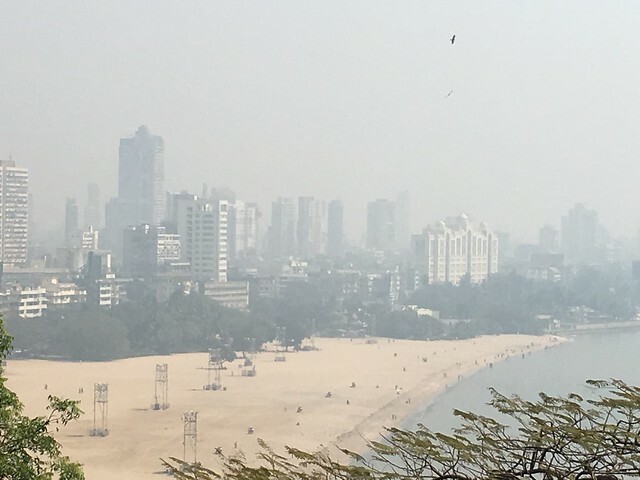 First up was the long esplanade which overlooked the Mumbai bay, followed by a walk along a white sandy beach. 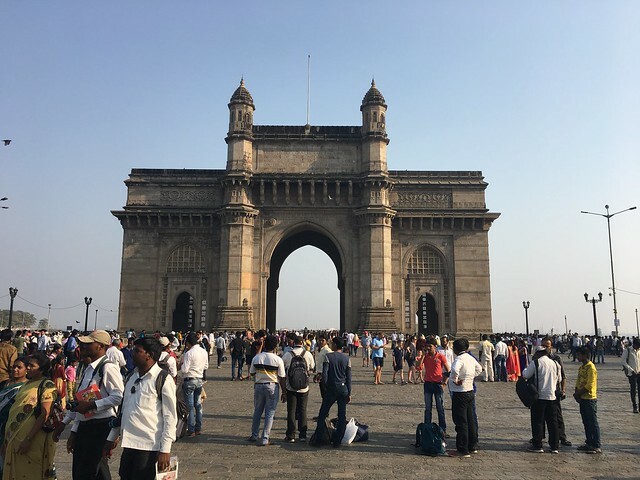 Mumbai is certainly the gateway to India, embracing western style and Indian culture. For a moment it felt like you could of been in Miami or Cape Town. Our second stop was at Gandhi’s house – Mani Bhavan, where he lived between 1917-1934 and from where he launched his campaign of civil disobedience in 1932. Entry was included in our trip and housed lots of photos and some interesting stories about his life. A must see when in Mumbai. By midday, the afternoon sun started to bake down (27c according to Google) but it felt (and smelt) a lot warmer…the chilly winds of the Himalayas felt a life time ago! Next up was the Mumbai hanging gardens – basically a dust bowl of a botanical garden which local volunteers struggled to maintain – if you’re on a flying visit then it’s not worth the time. 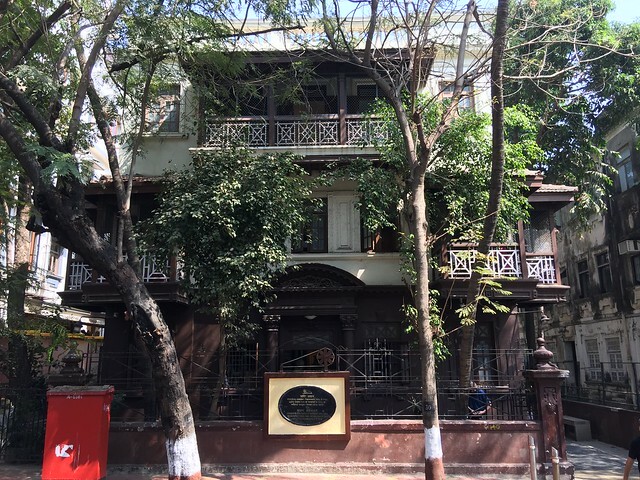 We then swung via the world’s most expensive house (apparently) – property prices in Mumbai are surging, making it one of the most expensive cities on the planet. 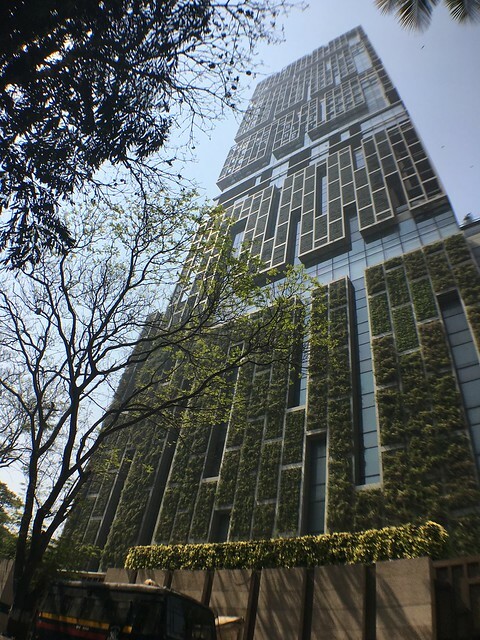 It is owned by India’s richest man Mukesh Ambani, has 5 residents and over 200 staff. 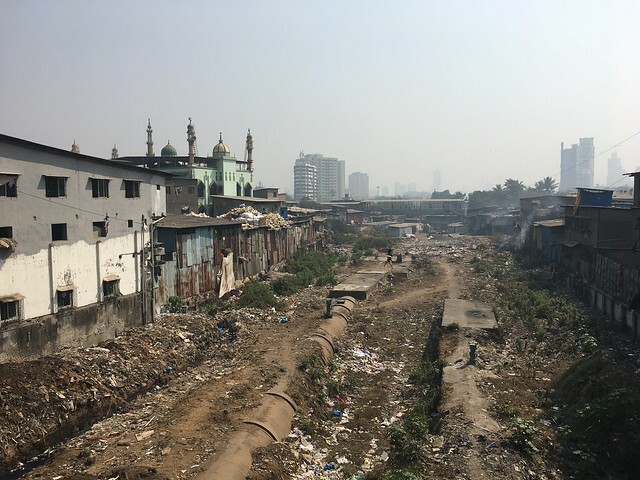 For a bit of contrast we headed for a walk through the Mumbai slum where Slumdog Millionaire was set, eye opening in terms of the sprawl and entrepreneurial spirit of the community as everyone was working in a shack shop or recycling waste. The smell and waste on the street paths were not ideal in light trainers or in the baking sun. Goats, cows, dogs and people all lived side by side together. Our taxi driver took us down some quite narrow dark paths, and we felt a little uncomfortable snapping pictures as people went about their lives. The contrast between rich and poor in this city is vast. Next up was the Mumbai Victoria Train Terminal with its beautiful colonial architecture. Unfortunately, as with most sights worth photographing in India, they’ve gone and stuck billboards, street lamps and wires in front of it and a McDonalds opposite. The final stop on our tour was India Gate, a large monument to commemorate the arrival of King George V and Queen Mary in 1911. Just adjacent to the gate is the renowned Taj Hotel – one of Indias finest five star hotels and also scene to part of the 2008 terrorist attack. Unfortunately there was no time for tea (or money). After photos and a wander around the water front, it was back to the hotel to refresh and head for dinner and beers at Leopolds, a diner/ bar packed with Westerners. Mumbai is clearly modelling itself on an energetic and vibrant western city, with trendy bars (we ate a diner style bar called Leopolds) serving European and Western beers at £5/$6 a pint! Back at the hotel, Jamie went and got some water and had a chi (Indian tea- sweet with milk) with our guide Jai. We were up and out and a leisurely 9:45am and took taxis to the airport for our next leg- Goa. The drive was impressive, over stunning bridges and through many sky scrapers, the airport was also only just over a year old. We looked forward to some idilic beaches and a relax after to close now 4 weeks of travel.